Black Friday is coming, people. Dust off your credit cards and keep them close, because you’re going to use them a lot! But don’t worry, we know you have plenty of things to spend money to, so just to make your lives easier, we’re dropping prices and starting the Black Friday SALE! Neuroshima Hex (iOS) v2.2 + Caylus v1.1 = sale! Wait, what? Two updates at the same time? It’s just like Christmas coming early this year! Yep, that’s true. Our both best selling games updated at the same time. And with great features. Neuroshima Hex is getting two new armies – Vegas and Smart (lear more on official Neuroshima Hex website) and Caylus is getting private online games using GameCenter, iPad Retina support and multiple bug fixes (more on Caylus website). To celebrate and make your lives a bit easier (and cheaper ) we came up with a sale. Do the math and see how much you can save (spoiler: it’s $15). One amazing thing that happened today is Apple made Neuroshima Hex update to v2.1 available. This version adds many multiplayer enhancements including playing with your GameCenter friends, which many of you asked for. Please note that you’ll need to update to this version before playing online. And another great thing is IGN made a list of 10 best iOS board games and put Neuroshima Hex and Caylus on two first position of this ranking! That’s something really unexpected and we’re really excited such well known gaming site as IGN thinks we make great games! This is big news for us and hopefully for many of you, too! Neuroshima Hex has finally made it to Android. It wasn’t easy and costed us a lot of really hard work, but here it is now – sitting on Google Play, waiting to be downloaded Enjoy! I know many of you have been waiting for it for over a year now. Many of you have cursed BDC or written ‘What about Android?’ comments all over the internet. You can stop doing all of those things now* – Android version is finally ready. More info and official trailer can be found on Neuroshima Hex for iOS official website. Neuroshima Hex online multiplayer update available! Sale started! Finally!!! You should now all be able to download newest update of your favorite iOS game! Don’t wait any longer – visit the AppStore and hit update button now! If you get all of these titles, you’ll save whole $11. Just think what you can do with all that unspent money! Wings of Glory – not a secret any more! When we gave you a bunch of titles we’re going to do this year, we decided to keep one of them as a secret (why? come on, it’s a secret!). Today we want to reveal that secret and present you with few concept graphics of our future title Wings of Glory, to give you an idea of what this game may look like when finished. If you don’t know that Wings of Glory is, you should definitely visit Ares Games website for more info. Their post about this iOS adaptation of WoG may be a good place to start. Let us know how you like the graphics. And to answer the first question to appear in the comments – Wings of Glory is going to be released by the end of this year. March sale from Thursday to Sunday! First of all, we’re working hard on new Neuroshima Hex update. As probably many of you already know this update will bring online asynchronous multiplayer to Neuroshima Hex and yes, answering an already obvious question, playing private games with your friends will be available, too. This update will also fix an extremely annoying bug that occurs on older devices and breaks UI controls layout. This update is planned to be available in April. Other good things to come with other future updates of NSHex are new armies, especially the long awaited Vegas and Smart from Duel expansion. Probably most of you have noticed already that Push Notifications still don’t work with the current version. This problem is caused by invalid certificate we used to sign the app with. We’ll sumbit another version signed with the correct certificate and hopefully in a day or two this should be available for download. Sorry for inconvenience guys, we just had a bad day. Finally! It’s there! Caylus is now available for purchase for $4.99. I know we made you wait for it a bit longer than promised, but now it’s finally there. Below you can find a short trailer video of Caylus (check it out if you haven’t heard about Caylus yet). And remember to bookmark Caylus official website. Borgo-Santa is back in town, people! To celebrate this year’s Christmas we asked him to to let you save whole eight bucks and he said ‘OK’! Starting from 21 December, 2011 and lasting until 1 January, 2012 all our games can be purchased with a huge discount! 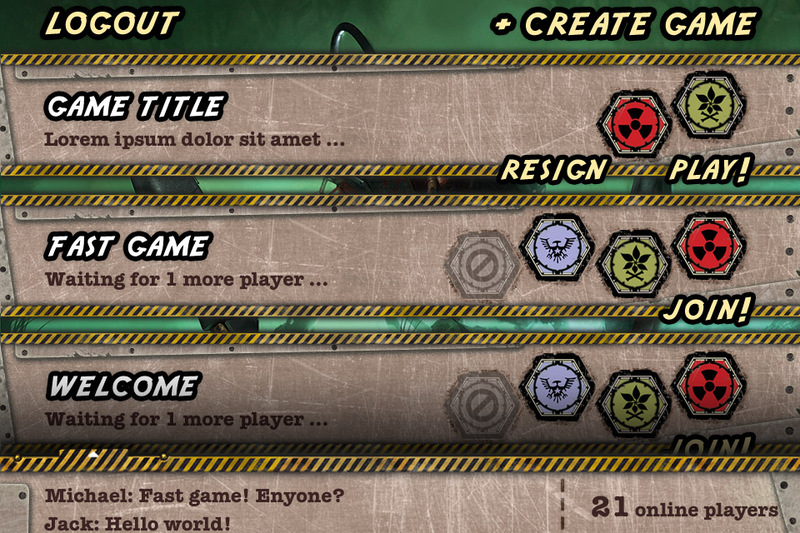 Also he gave us few news about Neuroshima Hex multiplayer and Neuroshima Hex for Android as well. 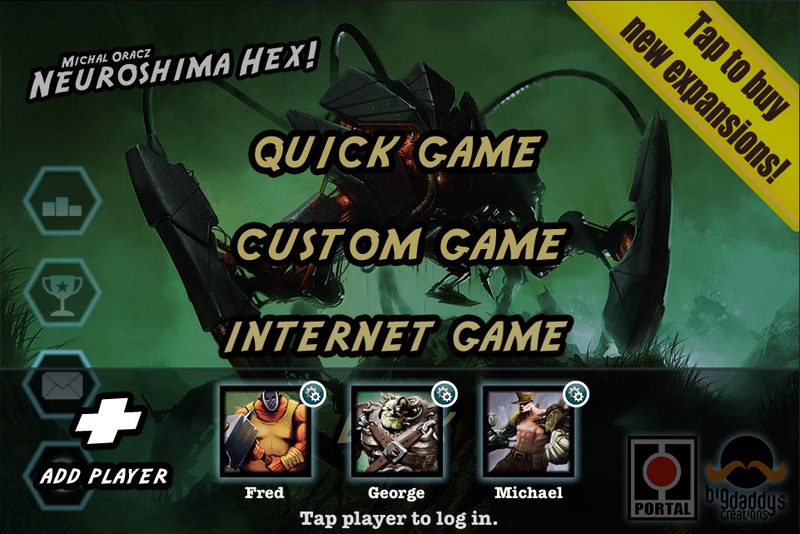 If you’re interested, check the official Neuroshima Hex for iOS site. Finally, we’d like to wish you happy, snow white Christmas and great New Year!